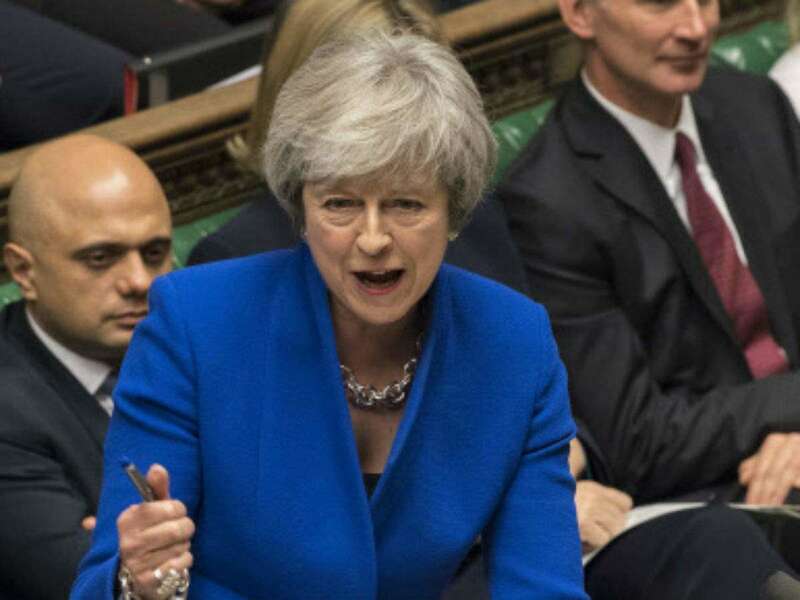 British lawmakers on Tuesday overwhelmingly rejected Prime Minister Theresa May's divorce deal with the European Union, plunging the Brexit process into chaos. Lawmakers finally got their chance to say yes or no to May's deal after more than two years of political upheaval _ and said no. It was the biggest defeat for a government in the House of Commons in more than a century. The vote means further turmoil for British politics only 10 weeks before the country is due to leave the EU on March 29. It is not clear if it will push the government toward an abrupt "no-deal" break with the EU, nudge it toward a softer departure, trigger a new election or pave the way for a second referendum that could reverse Britain's decision to leave. "This is the most significant vote that any of us will ever be part of in our political careers," she told lawmakers as debate ended. "The time has now come for all of is in this House to make a decision, ... a decision that each of us will have to justify and live with for many years to come". Pro-Brexit lawmakers say the deal will leave Britain bound indefinitely to EU rules, while pro-EU politicians favor an even closer economic relationship with Europe. Labour legislator Tulip Siddiq delayed the scheduled cesarean birth of her son so she could attend, arriving in a wheelchair. As lawmakers debated in the House of Commons chamber, outside there was a cacophony of chants, drums and music from rival bands of pro-EU and pro-Brexit protesters. One group waved blue-and-yellow EU flags, the other brandished "Leave Means Leave" placards. The most contentious section of the deal is an insurance policy known as the "backstop" that is designed to prevent the reintroduction of border controls between the UK's Northern Ireland and EU member Ireland. Arlene Foster, who leads Northern Ireland's Democratic Unionist Party _ May's parliamentary ally _ said her party voted against the deal because of the backstop. "We want the PM to go back to the EU and say 'the backstop must go'," Foster said. Parliament has given May until Monday to come up with a new proposal. So far, May has refused publicly to speculate on a possible "Plan B". May had argued that rejecting the agreement would lead either to a reversal of Brexit _ overturning voters' decision in the 2016 referendum _ or to Britain leaving the bloc without a deal. Economists warn that an abrupt break from the EU could batter the British economy and bring chaotic scenes at borders, ports and airports. Mike Hawes, chief executive of the Society of Motor Manufacturers and Traders, said parliamentarians "hold the future of the British automotive industry - and the hundreds and thousands of jobs it supports - in their hands". Brexit is already causing us damage in output, costs and jobs, but this does not compare with the catastrophic consequences of being cut adrift from our biggest trading partner overnight," he said.